By logging in, you agree to the creation of a « cookie » in your browser. 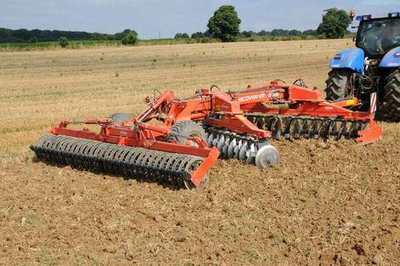 Kuhn is launching the V-model with the Discover VM 36 in order to complete its range of cover-crop X-tools, taking the design with a central beam that has been appreciated and appreciated by many users for over 10 years. - 3 hitch positions to optimize the height of the traction point. - The hydraulic and independent front / rear control of the angles of the disc trains controlled by the driver's seat ensures ease of use. It ensures a continuous adaptation in all the conditions and also allows the good balance of the whole and the perfect stability especially in ground with important devers. - Discs with diameter 660 in alternating mounting (smooth, crenellated) optimize the aggressiveness at work.